If you haven't done so, you'll need to create an account at http://photobucket.com. 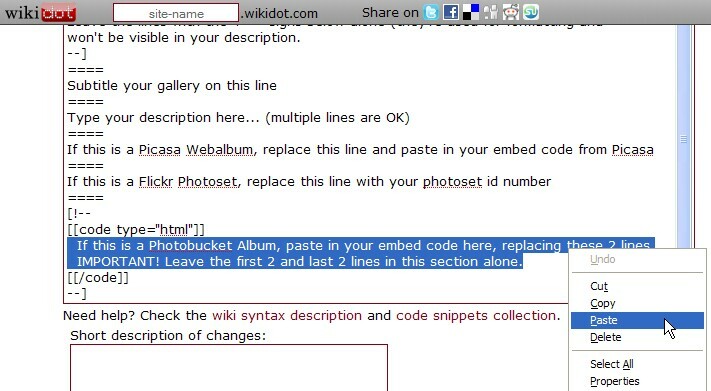 Assuming you have an account and have created one or more web albums, here is how you find the embed code you need to display your Photobucket Album here. 1. 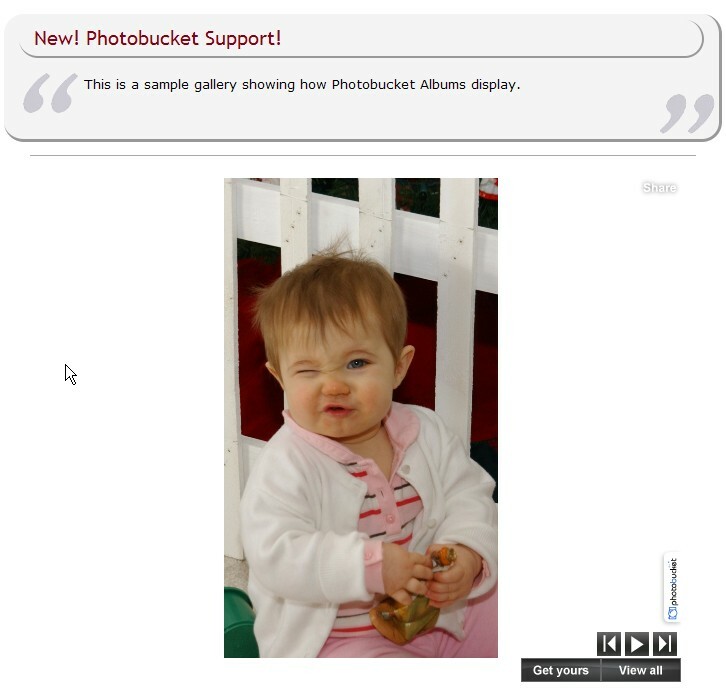 Log into your photobucket account and select the album you want to use. 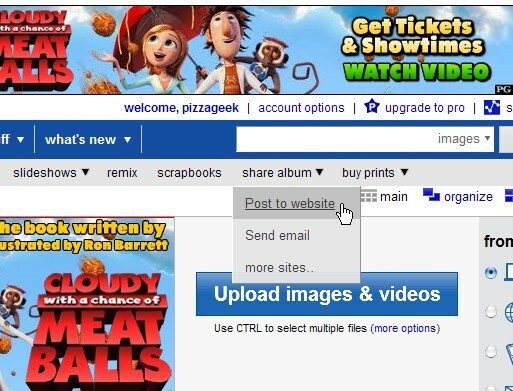 Click on "Post to website" under "share album"
2. 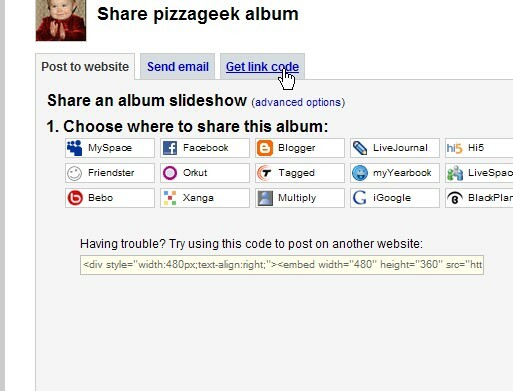 Click the "Get link code" tab. 3. 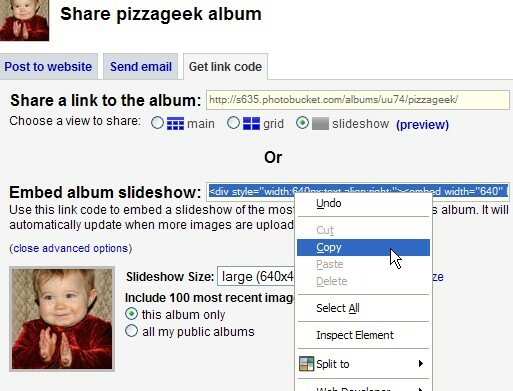 Expand "(advanced options)", select size and then click in the "Embed album slideshow:" field to highlight the embed code. 4. Right-click the code and copy it. 5. 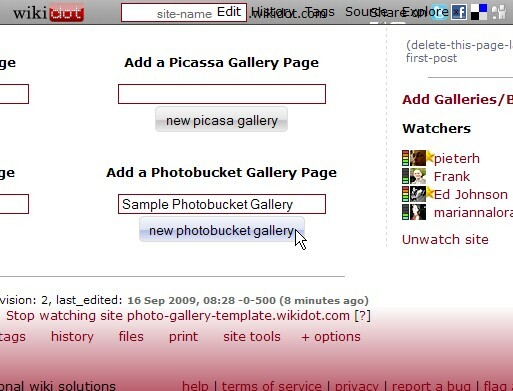 Create a new Photobucket Gallery on your site. 6. 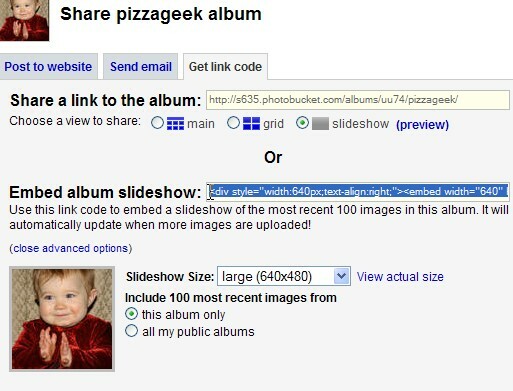 Paste the code into the correct place in the Photo Gallery page you are creating. 7. Save the page and enjoy your show!